My kid loves yogurt. She'll eat it at every meal if I let her. Berry flavor, peach, vanilla, plain, you name it, she'll eat it. 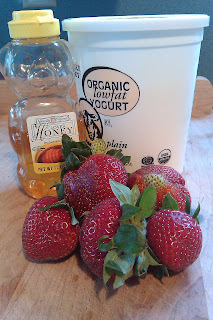 My latest success is so simple and yummy that we usually have two servings each. 1. 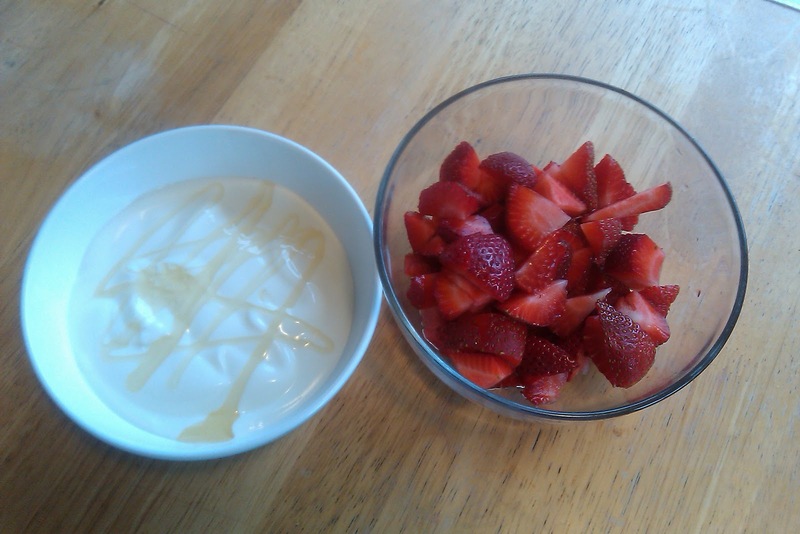 Berries in the bowl with the yogurt and honey over the top. 2. Berries in one bowl and dip into the yogurt and honey.